Fishing sims are usually low key, and while that’s certainly the case with Trophy Bass 3D as well, there’s still a lot to experience nonetheless. 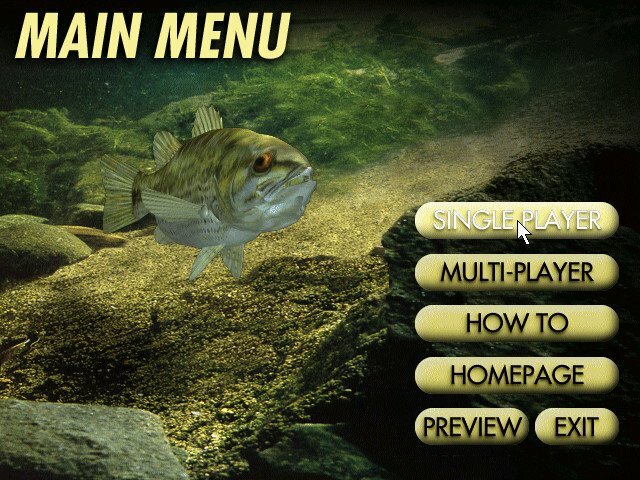 Solo anglers can take part in fishing trips, tournaments, or go all-out in career play. Trips are simple one-off lake expeditions, while tourneys are full three-day competitions against other anglers. 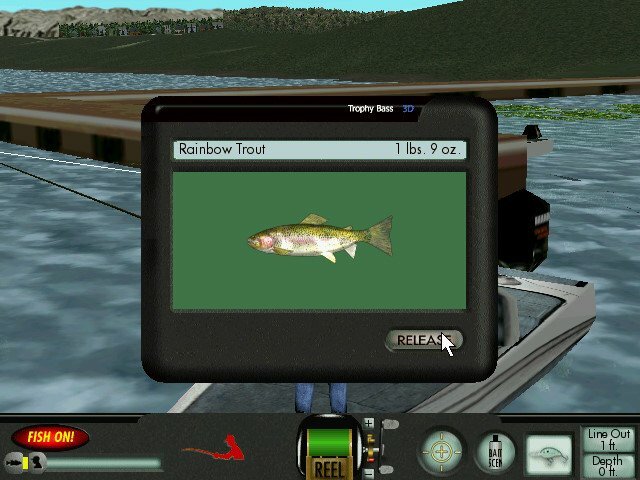 The clock starts running instantly, and your catch needs to meet the weight score as well. Career mode is a series of four tournaments strung together where you win points. A top five finish earns a spot in a special fifth tourney. 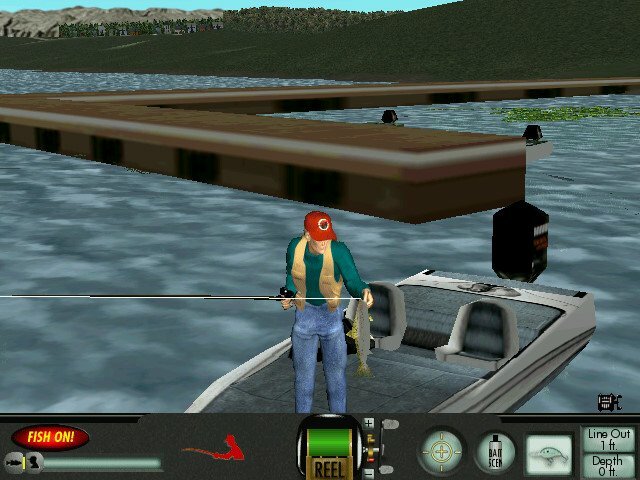 Difficulty in Trophy Bass 3D can be set at easy, medium, or hard and individual aspects of the game can be tweaked on fishing trips. 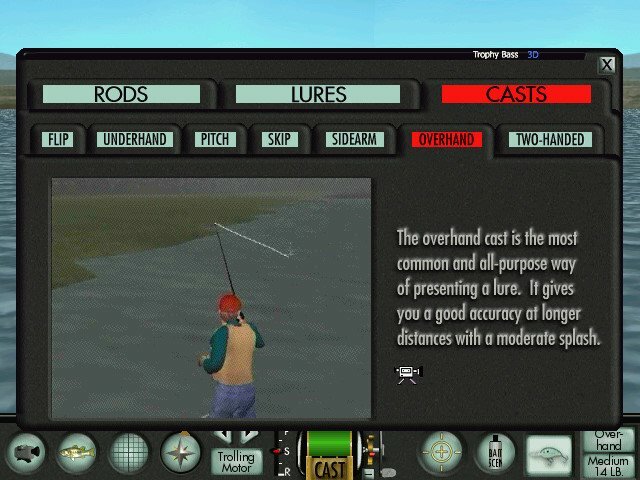 For example, if you find landing fish too challenging but everything else just right on the medium setting, just go into the custom menu and set that aspect of the game back to easy. Nine separate skills can be adjusted this way. Multiplayer modes are supported as well, including LAN. Gameplay is nice and relaxing, considering its glacier-like pace. A big part of this comes from the sheer authenticity of the design. 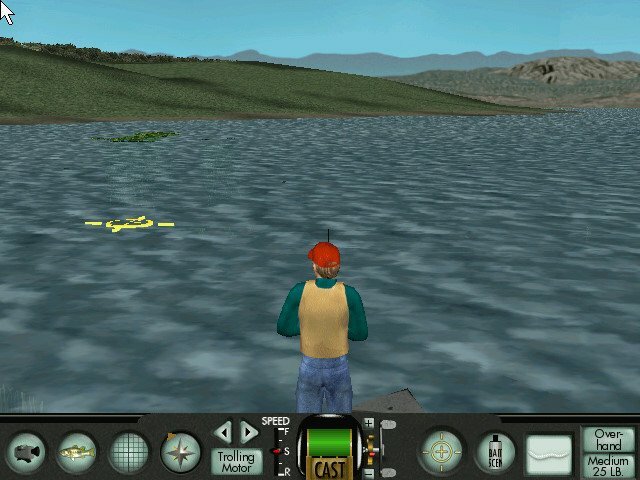 First of all, the lakes are real. 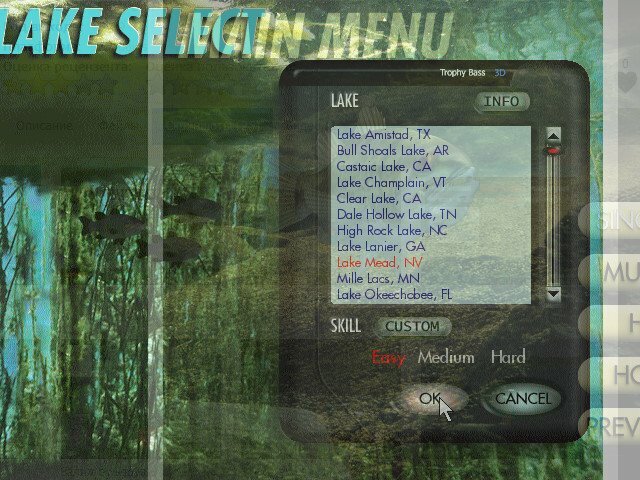 Unlike some other fishing titles, here you get to explore real-world fishing meccas such as Lake Champlain, Vermont/Quebec, Lake Okechobee, Florida, and Sam Rayburn Reservoir, Texas. Trips to each locale seem almost touristy. Secondly, each environment is very different. 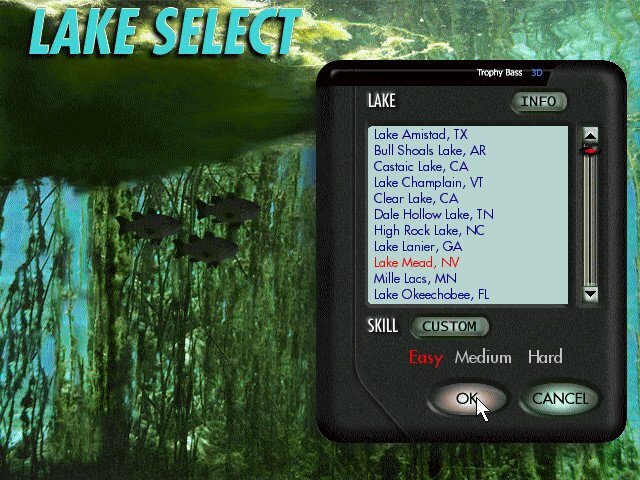 Some are warm-water areas with pike while others are cold-water Atlantic waters with salmon and lake trout, while Okechobee is jammed with bass. 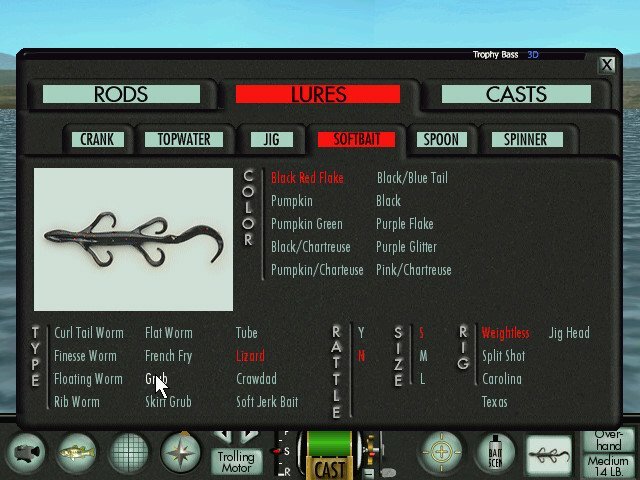 The game allows for an impressive arsenal of rods and lures. 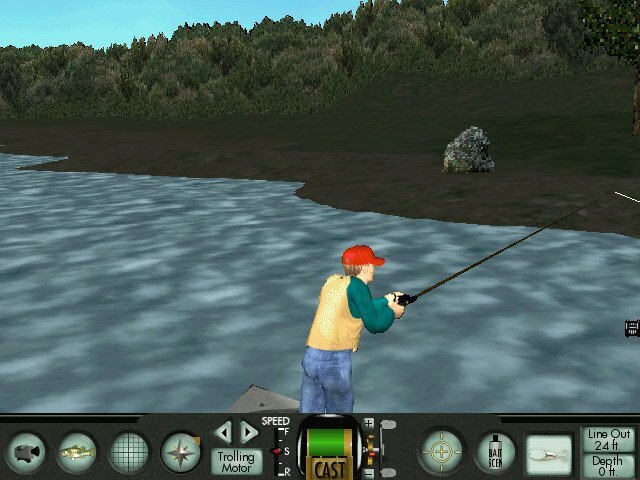 Spinning, casting, and flipping rods are available, with adjustable weights and lines. Different casting methods can be used with each. Your bait box is jammed with every sort of lure you need, from deep diving blue cranks to electric green curltail worm softbait. Different setups work for different lakes, so expect to invest a fair bit of time in experimenation after you first boot this one up.